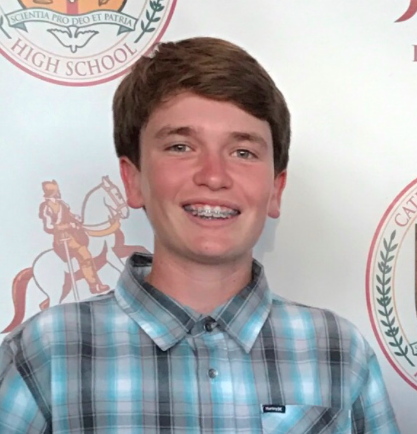 As Assistant Sports Editor for Cathedral Catholic High School’s student newspaper, El Cid, I look forward to working with my fellow students who have a similar passion as me. I aim to become a better writer and to bring more publicity to El Cid this year. Journalism has inspired me to pursue a career in reporting as a sports writer or analyst. My talents match those of a Sports Editor and my passions of baseball and basketball should benefit my writing. Covering sports events, writing player profiles, and analyzing upcoming games consist of my role as Assistant Sports Editor. I aspire to better my writing ability and El Cid this year, along with giving the students at CCHS the coverage they deserve.